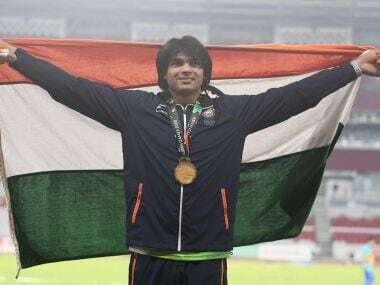 Through the evening at the Asian Games, the monk in Neeraj Chopra was in evidence. 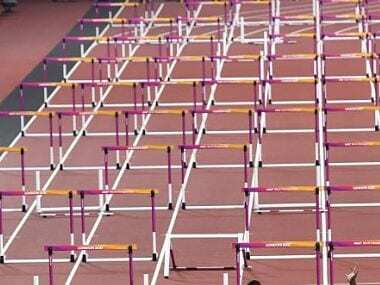 The Indian star was so intent on internalising everything that he was palpably shut off to everything else, perhaps even to his compatriot javelin thrower Shivpal Singh who occupied the next seat on the athlete’s bench at the GBK Athletics Stadium on Monday. Indian athletics contingent rounded off their dismal show in the Rio Olympics with a below-par effort from the 4x400m relay quartets, which saw them crash out of their respective heats on Saturday. With a world rank of 13, a medal looks beyond the men's 4x400m relay team. But they will be looking to go past the past the first round and become only the second Indian team to do so. 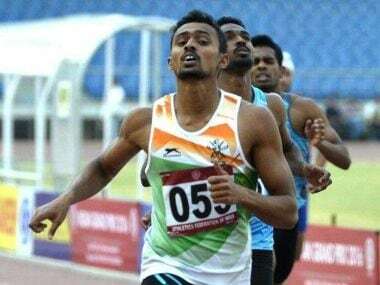 Indian men's and women's 4x400m relay race teams on Sunday virtually qualified for Rio Olympics after clocking impressive timings at the 3rd Indian Grand Prix athletics event in Bengaluru on Sunday.